Our co-editor, SJ Cooper-Knock, takes a look at the protests erupting in the Gambia over the past few weeks. Could this be the beginning of the end for President Yahya Jammeh? 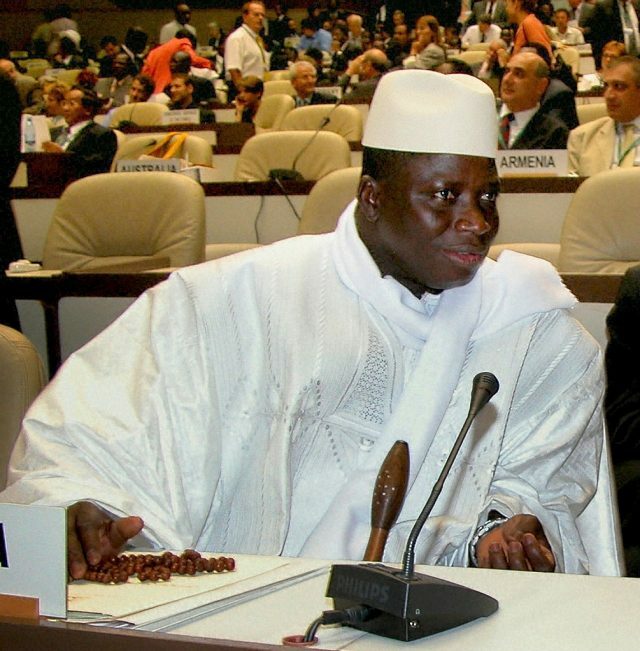 The Gambian President, Yahya Jammeh, has had limited exposure in many media outlets outside the continent. In the past, journalists have seemed far more eager to cover his claims to heal HIV and infertility than his repressive governing tactics. Gambians, however, have been keenly aware of the country’s political and economic struggles since he seized power over two decades ago. Over the last two years the situation in the Gambia has worsened. Following a failed coup attempt in 2014, the President has become more autocratic and less predictable, ordering arbitrary arrests and becoming increasingly vitriolic in his rhetoric. Ultimately, it was the government’s championing of anti-LGBTQ laws and his violent threat to ‘cut off the head’ of any gay person found in Gambia that pulled the spotlight on the country’s regime. The Gambia was subsequently excluded from the US African Growth and Opportunity Act (AGOA) and the EU suspended its aid budget. These were meaningful but not devastating blows to the regime. The government continues to borrow funds to cover its debts and Jammeh’s personal fortunes remain intact, including the $3.5m mansion he owns and visits near the Potomac in America. Any hope of displacing Jammeh at the polls remains slight: Elections in 2011 were so biased that ECOWAS declined to send observers. Although opposition groups in the Gambia are increasingly determined to unite against the government, the elections in December do not look any more promising. Last year, the government increased the registration costs for presidential candidates and parties to 500,000 Dalasis (£8062). In a country where the average GDP per capita is 17798.62 Dalasis (£286.96), this represents yet another sizeable obstacle to free and fair elections. In a tightening totalitarian regime, the choices for citizens are always stark. The Gambia is no exception. Many have tried to flee the country – Gambians account for a significant proportion of refugees currently crossing the Mediterranean to seek asylum. That most of these asylum seekers have been rejected as ‘economic migrants’ reveals the ignorance of those guarding fortress Europe and the shortcomings of refugee definitions as a whole. Those who have stayed have, from a distance, appeared relatively quiescent. But protest is unusual in the Gambia for good reason: in 2000, state security fired live rounds on student protestors, killing 14 people. The following year, an Indemnity Law was passed that shielded security forces from prosecution for crimes committed whilst subduing ‘unlawful assembly’. This fits in with a pattern of broader state violence and repression. According to a Human Rights Watch report, the National Intelligence Agency, Serious Crimes Unit, Police Intervention Unit and the paramilitary ‘Jungulers’ (drawn from the Presidential Guard) create a deadly constellation of security actors. The protests on 14th April were, therefore, both unusual and brave. Led by Ebrima Solo Sandeng of the United Democratic Party (UDP), the main opposition party, marchers called for the resignation of President Jammeh. The police responded with tear gas canisters. Two days later, when the protests resumed, undeterred, the situation deteriorated: Sandeng was arrested with around 55 supporters as the police fired live ammunition into the crowd. Less than 48 hours after his arrest, rumours hit Facebook that Sandeng had died in custody as a result of police torture. The family, who were only told by authorities that they could not see him, began to demand his release, dead or alive. Determined, the opposition mobilized again, led this time by the UDP’s Secretary General, Ousainou Darboe. Once more, they were met with mass arrests and bullets. In response, protestors gathered at Darboe’s house, and have continued to call for the release of all protestors. Coverage of this cycle of violence and repression has been minimal in the international press but social media has been helping to fill the void. Diplomatic pressure is beginning to mount but it has remained largely rhetorical. Last week, key political figures in Senegal’s political opposition called for Jammeh to stand down. Stating that ‘freedom is never free’ Senegal’s opposition leader, the Honorable Moustapha Diakete, urged Gambians to stay strong. The US denounced the Gambia’s policing of the protests and the UN followed suit. Meanwhile, a mission including representatives from ECOWAS, AU and the UN visited the country and called for a follow up investigation into the events of the 14-16 April. But this rhetoric has had precious little effect on the regime. The Gambia’s ambassador in the UN has maintained protestors are threat to national security, trying to overthrow the President and incite ethnic hatred. For his part, Jammeh has been arranging self-congratulatory ceremonies and re-doubling his commitment to rule. 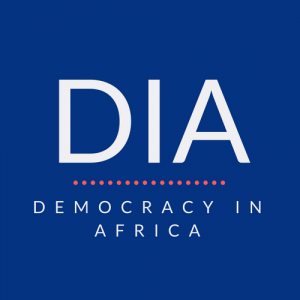 The struggle for democracy in the Gambia will not be easily won: we can only hope that international solidarity begins to equal the strength that citizens continue to show in their fight for freedom.